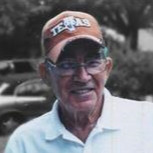 William (Ted) Theodore White Sr. passed away on April 1, 2019 with his beloved family by his side. He was 88 years young and he spent his last moments of life at the Kansas City Hospice House. Ted was born on September 26, 1930 in Kansas City, KS to Willard and Mary White. He was one of 7 children and spent most of his childhood living in the Kansas City area. At the age of 17 he enlisted into the Navy where he served for 4 years. It’s during that time when he married his childhood crush, Kathleen (Katie) Crenshaw. They were happily married for 56 years and brought 3 children into the world. Carol, William Jr, and Michael were the light of his life. When he wasn’t tending to Carol and Michael’s medical needs he liked to take them all fishing and on mini vacations. When it came time for retirement Ted enjoyed helping his wife Katie with her in home daycare. However, his all time favorite hobby was tending to and showing off his beloved 1923 T-Bucket “Mr. T”. He traveled to many different places to show Mr. T off and won many trophies. He also spent many years with his family at their lake house or traveling across the United States in their RV. He lived a very long and full life with the ones he loved. He is survived by his significant other Marie Carver, his children Carol (Richard) Billings and William Jr (Jean) White. His is also survived by his 8 grandchildren, his 20 great grandchildren, and his 8 great great grandchildren. He is proceeded in death by his wife Kathleen, his son Michael Wayne, his granddaughter Tina, and his parents. In lieu of flowers we are asking for donations for the Kansas City Hospice House. Daddy Ted you will be missed daily. Larry and I are going to miss the love and memories you so freely shared with us. Until we meet again you will forever be in our hearts.